I purchased a 10 hour organizing block as a housewarming gift for my cousin Angie when she downsized to a smaller residence. The “two Angies” worked together as a team. They accomplished so much in just two sessions! The kitchen/pantry area was priority one so they tackled that first. The results were amazing. And my cousin is so pleased. The storage barn/utility room was priority two and they did a great job with it also. I would recommend Ship Shape Solutions for all your organizing needs. Very professional and a pleasure to work with. 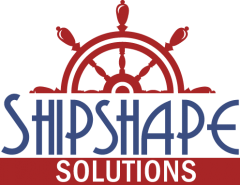 Thanks Shipshape Solutions!!!! You are awesome!